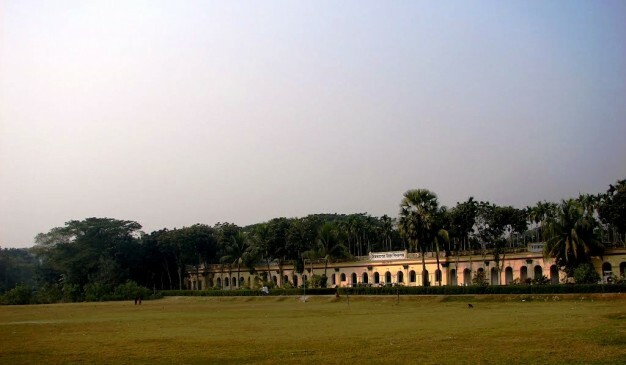 Ishwar Chandra High School (ঈশ্বর চন্দ্র উচ্চ বিদ্যালয়) is situated at Saturia Upazila of Manikganj District, very near to the Baliati Palace. 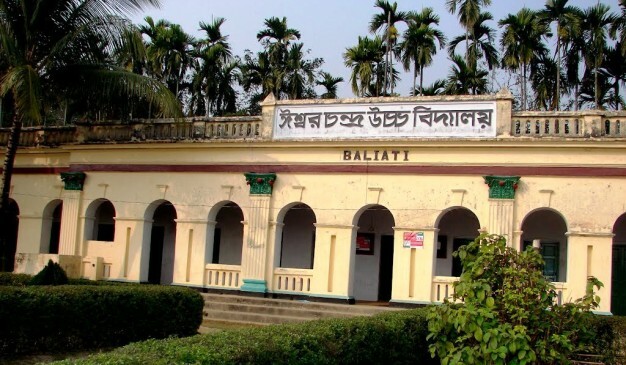 This school was named after Ishwar Chandra Ray Chowdhury, one of the famous Zamindars in Baliati. 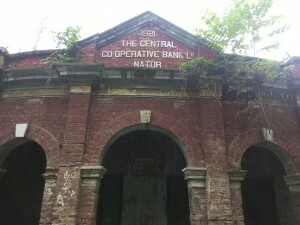 According to the locals, this school was found by Horendra Kumar Ray in the year 1915-1916. From the history, it can be said that Horendra Kumar Ray was the Son of Ishwar Chandra Ray Chowdhury. Once, this school was named as Ishwar Chandra English High School, but in later time, the name has been changed. 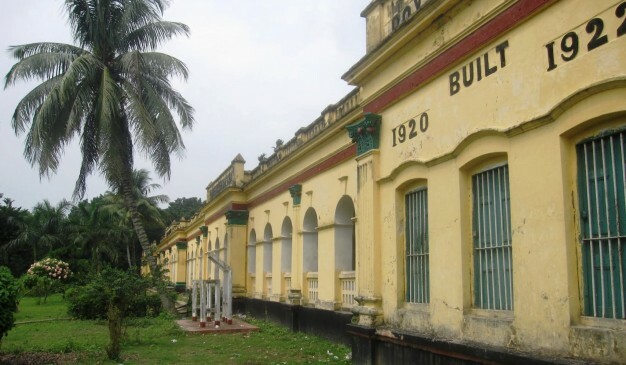 It is said that Horendra Kumar Ray Chowdhury spent around fifty thousands taka at that time to build this ornamented & large school building. which was certainly a big amount to pay at that contemporary time. In recent time, this school has been conducted by a committee consisting of local people. Referred to how to go to Manikganj from Dhaka, click here. From the school premise the great Baliati Palace is just steps away. 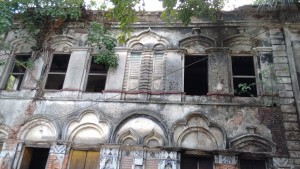 There are also a complex of old buildings nearby Baliati Palace. 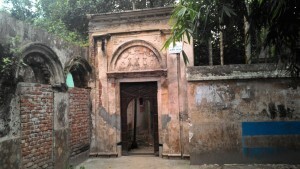 Which is known as residential place for Zamindar Hemochandra Ray Chowdhury. If you pay a visit there, then it would be a wise decision for wondering all around this ancient place. 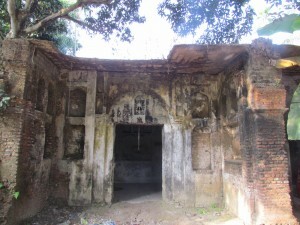 Chilla kotha is a one storeyed rectangular shaped building which is locally known as Andhar kotha. There are three rooms existing inside the whole building. These rooms are almost same in dimension. The interesting thing is there is a secret room in the underground level, which is connected with a staircase to way out at the south-east corner of this building. The underground room is so dark as there is no ventilation system or window inside of it. There are some rectangular shaped panel outside the building. The specific time period of this architecture is not known. Historians could dig the history as far as possible and from their review we got to know that the time period of Crori City of Panam Nogor and Chillakatha is the same. Myth: Local people believes that it was being used as a meditation and praying place for different Muslim Saint & Sadhus. Specially, there is a belief among the local people that when some saints do their praying & meditation inside the Under ground room of this building then it was enlightened with a picture of Mekka Sharif. Some people also said that it was being used as a torcher cell for punishing people commited crime went against the rituals of Islam. In every year from the 25th of January a very local festival named ‘Oros sharif’ has been celebrated annually. Many people from different direction come to join this event. Recently this building is almost being abandoned. The outer front side has been demolished and being decaying day by day. Necessary steps should be taken to conserve and preserve it for future generation.